Pure Grenada, the Spice of the Caribbean continues to be trending internationally and is on a steady course to achieve the historic milestone of 500,000 total visitor arrivals. For the period January to November 2018, cruise passenger arrivals increased by 24%, yacht passenger arrivals by 11.6% and stayover arrivals increased by 9.2%. 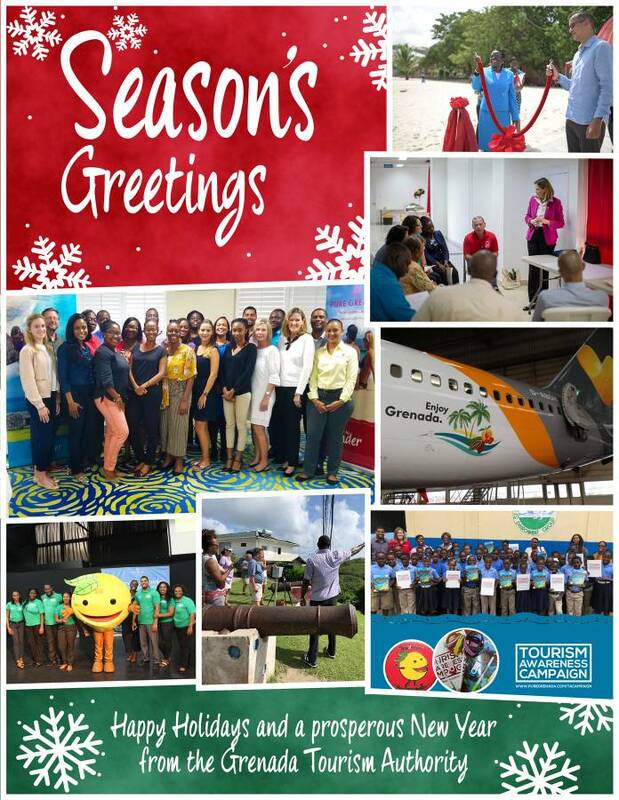 The Grenada Tourism Authority (GTA) and stakeholders achieved many firsts during 2018, which added to the elevation of Grenada’s international profile. In the area of marketing, the GTA implemented a robust programme which included media and travel agent receptions in key gateway cities in the US and Canada. In the UK, the GTA hosted a stakeholder showcase in London for the first time recognising partners and media for their work in marketing Pure Grenada. A key highlight for the year is additional airlift. Grenada benefitted from additional Caribbean Airlines and LIAT flights for Spicemas. Air Canada Rouge has added a third weekly flight; American Airlines, a second flight on Saturdays from Miami and Sunwing added 22 flights for the winter season. In the area of Nautical Development, the GTA actively engaged the top management of major cruise lines including Royal Caribbean Cruise Lines, Carnival Corporation, Norwegian Cruise Line Holdings and MSC. Coming out of these ongoing engagements a number of actions have been agreed to further enhance and market Grenada, Carriacou and Petite Martinique as a premier cruise destination. Much work was invested in adding value to tour packages and the training of frontline personnel to enhance the destination’s profile. These actions came out of a public/private sector cruise consultancy project coordinated by the highly engaged Minister of Tourism & Civil Aviation Dr Clarice Modeste-Curwen. In the area of Product Development, work continues in collaboration with the Ministry of Tourism and Civil Aviation to improve product offerings. One of the highlights of the year 2018 was the rebuilding of the Grand Anse jetty. The previous floating structure was replaced by a concrete structure which was commissioned in July. As it relates to the future of tourism, the GTA distributed its “Tourism and Me” booklet to all primary schools in the tri-island state beginning with Carriacou. The booklet seeks to educate the youth on the importance of the tourism sector to their lives and their exciting career opportunities. The GTA has since pinned more than 200 young people as student tourism ambassadors. For the people of Carriacou and Petite Martinique, the GTA ensured that a number of press trips experienced the islands and their offerings. The journalists were accompanied by members of the GTA marketing team. This resulted in Grenada, Carriacou and Petite Martinique being featured in the prestigious Travel and Leisure Magazine. The GTA also supported the marketing and development of festivals on the sister isles including the Carriacou Maroon and Stringband Music Festival, the Carriacou Regatta Festival and Parang Festival. Finally, Grenada ended 2018 with the opening of Silversands Grenada which joined the class of the family-owned luxury resorts of Spice Island Beach Resort and Calabash Luxury Boutique Hotel. Silversands Grenada is the first hotel development on Grand Anse Beach in over 25 years while work is also progressing on the Kimpton, Kawana Bay which is scheduled to open in 2020. There was a full feature on Grenada’s growing luxury product offering in the world’s leading global business publication the Financial Times. CEO of the GTA, Patricia Maher, encourages all stakeholder partners to continue to work together to consistently achieve excellent visitor experiences and to pursue and promote sustainable growth in an environmentally responsible manner that ensures economic, social and cultural benefits to the people of Grenada, Carriacou and Petite Martinique.